In fact, the pharmaceutical industry is not a health industry at all, it is an investment business. While pretending to deliver health to the world, its entire existence is based on promoting diseases as multibillion dollar markets for patented drugs. With a little research, anyone can see that the entire business model of the pharmaceutical industry is based on fraud and deception. The elimination of diseases, the very goal the drug industry pretends to serve, is actually being vigorously fought against by it. The reason for this is obvious: the eradication of diseases would destroy the global drug market upon which the pharmaceutical industry is based – and ultimately also the drug companies themselves. Against growing resistance, to continue this fraudulent business the pharmaceutical industry is spending billions of dollars to finance political stakeholders, bribe health professionals, and buy support from the media. In his Chemnitz speech in 1997, Dr. Rath described the pharmaceutical industry as the “biggest obstacle to world health”. Since then, numerous books have been published which confirm this and describe the devastating impact the ‘business with disease’ is having on people and societies worldwide. On this section of our website we present a selection of some of these books. Dr Marcia Angell describes the pharmaceutical industry as a global fraud and analyses the persuasive influence of the pharmaceutical industry on medicines and society at large. According to Abramson, Americans are falling prey to marketing campaigns, and thus demand unnecessary and expensive drugs and procedures, believing they constitute the best possible medical care. Wrong, says Abramson: though more post–heart attack procedures are performed in the U.S. than in Canada, one-year survival rates are the same. Abramson deconstructs the scientific sleight of hand in presenting clinical trial results that leads to the routine prescription of pricey cholesterol-lowering drugs even when their effectiveness has not been proven. He makes a powerful and coherent case that American medicine has gone badly astray and needs a new paradigm—one untainted by profits. This accessible study about the collusion between medical science and the drug industry emphasizes how drug companies market their products by either redefining problems as diseases (like female sexual dysfunction) or redefining a condition to encompass a greater percentage of the population. 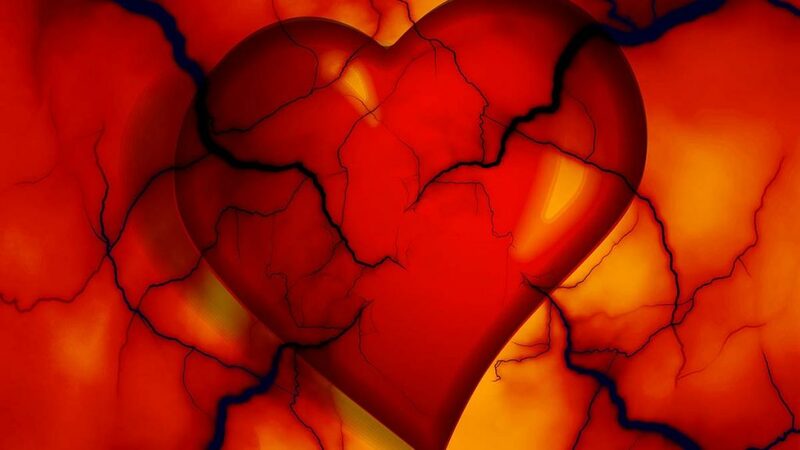 Physicians now routinely prescribe cholesterol-lowering pills (statins) that may have perilous side effects, when many people could lower their risk of heart attack with less costly and dangerous steps, such as exercise and improved diet. Through aggressive merchandising, funding of medical conferences and expensive perks, drug companies win doctors over to diagnosing these "diseases" and prescribing drugs for them. Why wouldn't you want to be screened to see if you're at risk for cancer, heart disease, or another potentially lethal condition? After all, better safe than sorry. Right? Not so fast, says Alan Cassels. His Seeking Sickness takes us inside the world of medical screening, where well-meaning practitioners and a profit-motivated industry offer to save our lives by exploiting our fears. He writes that promoters of screening overpromise on its benefits and downplay its harms, which can range from the merely annoying to the life threatening. If you're facing a screening test for breast or prostate cancer, high cholesterol, or low testosterone, someone is about to turn you into a patient. You need to ask yourself one simple question: Am I ready for all the things that could go wrong? A meticulously reported expose uncovers exactly how the drug industry boosts sales and bilks consumers in the most lucrative prescription drug market in the world. Research studies are designed to support marketing claims. Many doctors all over the country get their first information about new drugs from a salesperson. And, increasingly, prescription drugs are pitched to consumers on TV and the internet with images of hope, terror, or chic. Having created an unprecedented number of "megabrands" – blockbuster drugs with huge sales – and undergone an extraordinary wave of consolidation, some drug companies now find themselves in a precarious position. Patents are expiring on flagship products. In order to sustain the growth Wall Street has come to expect, these companies must produce billions of dollars worth of new revenue – fast. In the last thirty years, pharmaceutical companies have seized control of American medicine by putting their marketers in charge. They invent diseases in order to sell the pills that "cure" them. They sway doctors by giving them resort vacatopms, gourmet meals, and fistfuls of cash. They advertise prescription drugs at NASCAR races, on subways, and even in churches. Medicines can save lives, but the relentless promotion of these products has come at tremendous cost. Prescription pills taken as directed are estimated to kill one American every five minutes. More Americans are addicted to medications than cocaine. And roads have become less safe as the over-medicated take to the wheel. In Our Daily Meds, journalist Melody Petersen connects the dots to show how subtle, far-reaching, and dangerous Big Pharma's powers have become. Hundreds of thousands of drugs now pollute the bloodstream of the nation. Every medicine chest in America is chock-full of drugs, all in the name of health. Senior citizens are hit the hardest. Seniors not only suffer the diseases created by these products; they are ruined financially by the cost. The elderly in America are feeble, ill, and decrepit. The elderly are plagued with Parkinson’s disease, Alzheimer’s; the list goes on. The elderly in America suffer poor health, not because they are old, but because they are drugged and may have through life-long ignorance, made bad food and beverage choices. The doctor’s job should be to enhance the immune system — not to pollute it. The fact that every Senior Citizen in America takes as many as 20 medicines a day is a feather in the cap of the pharmaceutical sales force; but the drugging of the elderly in America is a national catastrophe. For decades, medical professionals have been betraying the public's trust by accepting various benefits from the pharmaceutical industry. Drug company representatives and doctors alike have promulgated creative rationalizations to portray this behavior positively, as if it really serves the interest of the public. 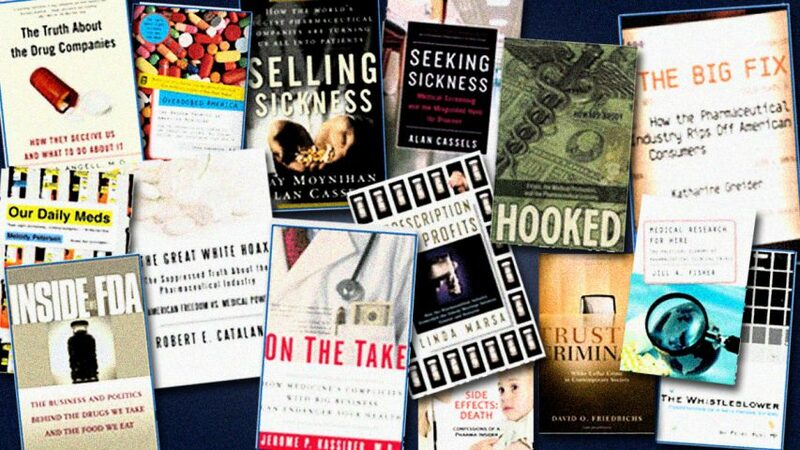 In Hooked: Ethics, the Medical Profession, and the Pharmaceutical Industry, Howard Brody claims that we can neither understand the problem, nor propose helpful solutions until we fully recognize the many levels of activity that connect these two industries. Then, for real improvement to occur, the doctors themselves need to not only change their behavior, but also change how they view the actions of their peers and colleagues. We can pass laws and enact regulations, so that those physicians that do choose to focus on ethics won't be in an environment where they feel as if they are swimming against too strong a current to make meaningful change, but ultimately a profession has to take responsibility for its own integrity. A history of the pharmaceutical industry in the United States and the people who drove its rise reveals the early days of the mass production of penicillin, when scientists willingly shared their information, to today, when concerns about profit shape research into cures for AIDS and cancer. 12,500 first printing. Today, more than 75 percent of pharmaceutical drug trials in the United States are being conducted in the private sector. Once the sole province of academic researchers, these important studies are now being outsourced to non-academic physicians. According to Jill A. Fisher, this major change in the way medical research is performed is the outcome of two problems in U.S. health care: decreasing revenue for physicians and decreasing access to treatment for patients. As physicians report diminishing income due to restrictive relationships with insurers, increasing malpractice insurance premiums, and inflated overhead costs to operate private practices, they are attracted to pharmaceutical contract research for its lucrative return. Because of the importance of what it regulates, the FDA comes under tremendous political, industry, and consumer pressure. But the pressure goes far beyond the ordinary lobbying of Washington trade groups. Its mandate – one quarter of the national economy – brings the FDA into the middle of some of the most important and contentious issues of modern society. Inside the FDA takes a closer look at the practices, people, and politics of this crucial watchdog in light of the competing pressures and trends of modern society, revealing what the FDA is supposed to do, what it actually does – and fails to do – who it influences, and how it could better fulfill its mandate. The decisions that the FDA makes are literally life and death. Some physicians become known as whores. This is strong language in Kassirer's mostly temperate but tough look at how big business is corrupting medicine—but according to Kassirer, one doctor's wife used the word whore to describe her husband's accepting high fees to promote medical products. Kassirer, former editor-in-chief of the prestigious New England Journal of Medicine notes the range of conflicts of interest between profit-centered business and people-centered medicine, such as the drug industry's huge expenditures (in the billions) for courting doctors to use their products, for recruiting physicians to tout their drugs or, more slyly, to present seemingly objective medical discussions that, on closer examination, do favor the company's product over others. The final chapter discusses what can be done, ending with a possible roadmap that includes 10 items for immediate implementation that would be possible primarily by legislation. The reader is asked to take a political stand to force the enactment of such legislation. Trusted Criminals: White Collar Crime In Contemporary Society is a comprehensive guide that covers topics ranging from the problems involved in studying white collar crimes to the principal focus of the crimes to the character of the legal and criminal justice response to the crime. Peter Rost, M.D., is a former vice president of marketing for Pfizer, the world’s largest pharmaceutical company. Published in 2006, his book provides a highly damaging exposé of the drug industry and reveals illegal inducements to doctors to prescribe drugs; the marketing of drugs to children; fake accounting and other illegal and unethical activities. A powerful testimony, Rost’s account of life as a drug company insider charges that American consumers are being manipulated by their healthcare system and that the manipulation encompasses every part of society, from scientists at the renowned National Institutes of Health (NIH) taking drug company money, to other government agencies, such as the FDA, which gets a large part of their funding directly from the drug industry.